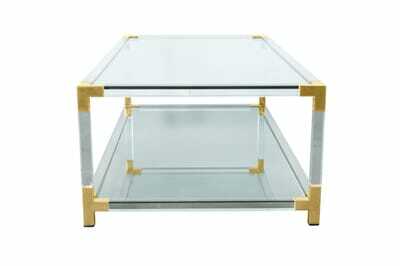 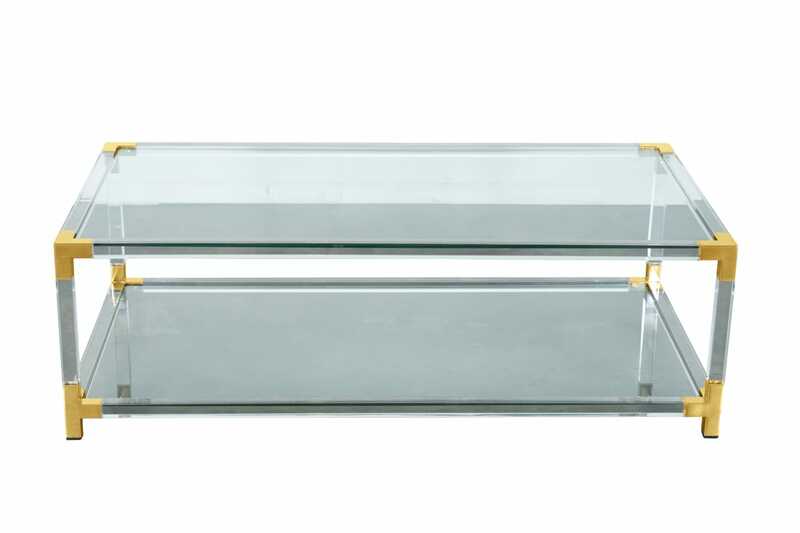 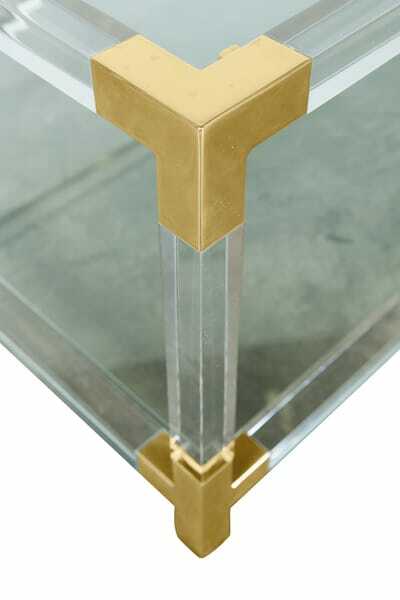 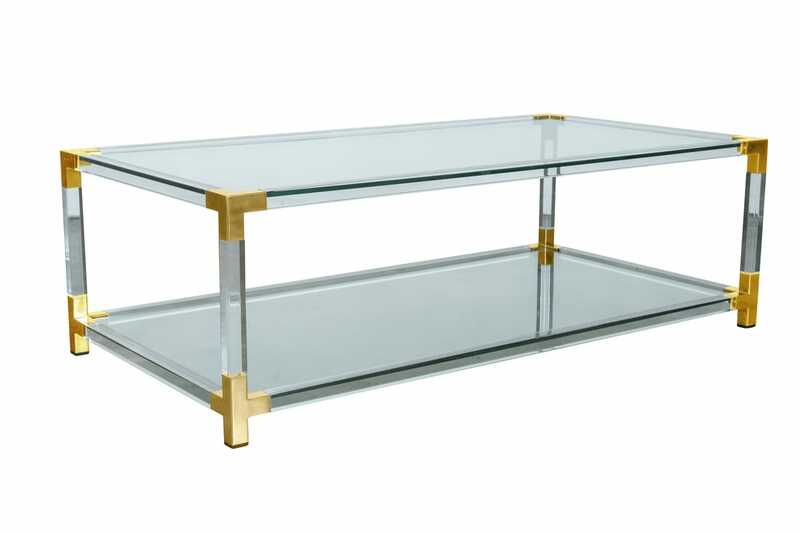 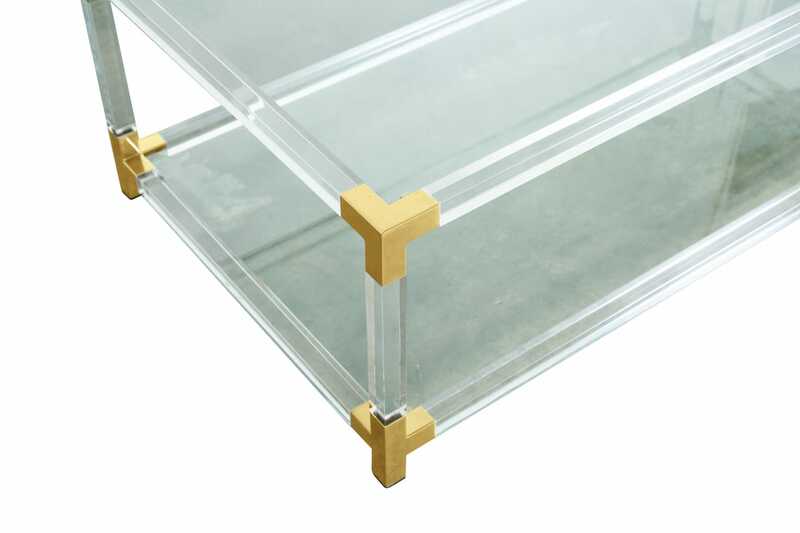 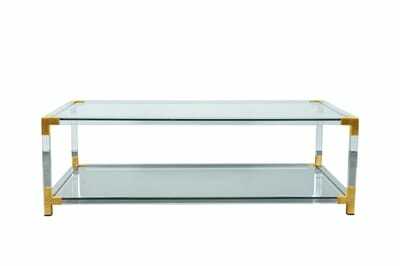 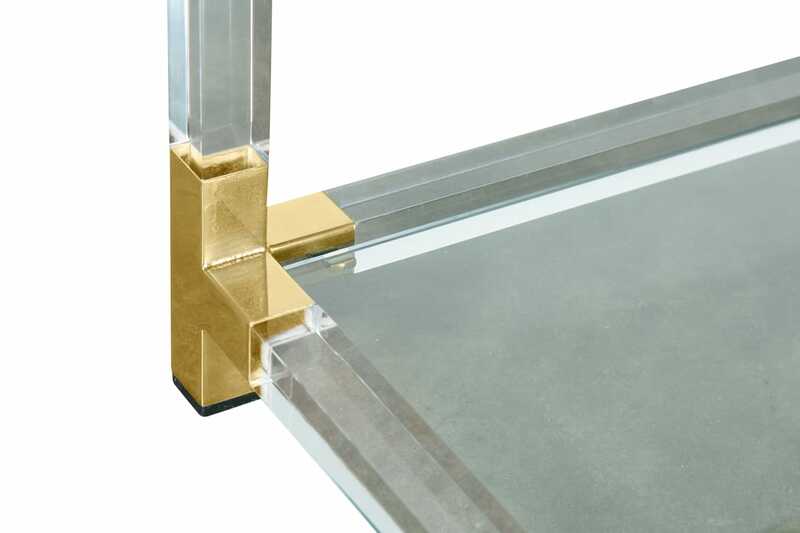 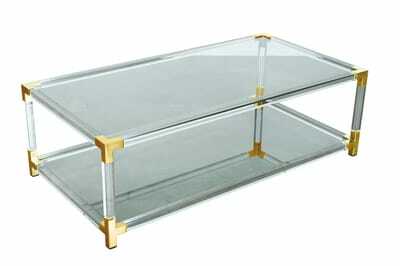 Large French Modernist two-tier lucite coffee or cocktail table with glass top and lower glass shelf having polished brass corners. Circa 1970s. 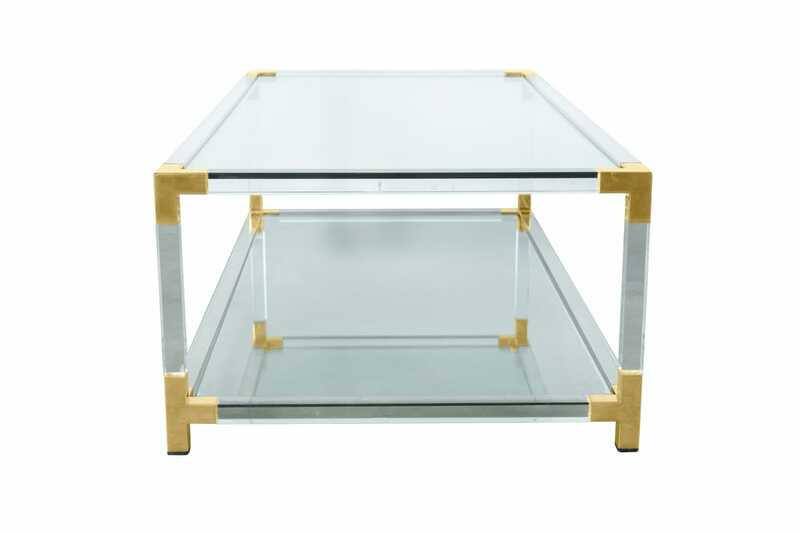 Attributed to the famous Paris atelier Maison Jansen, this table looks beautiful mixed with antiques or contemporary decor. 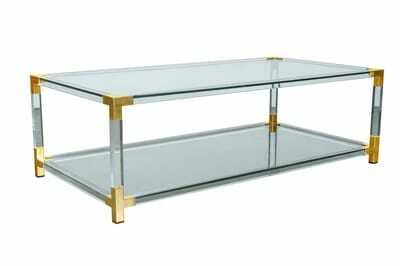 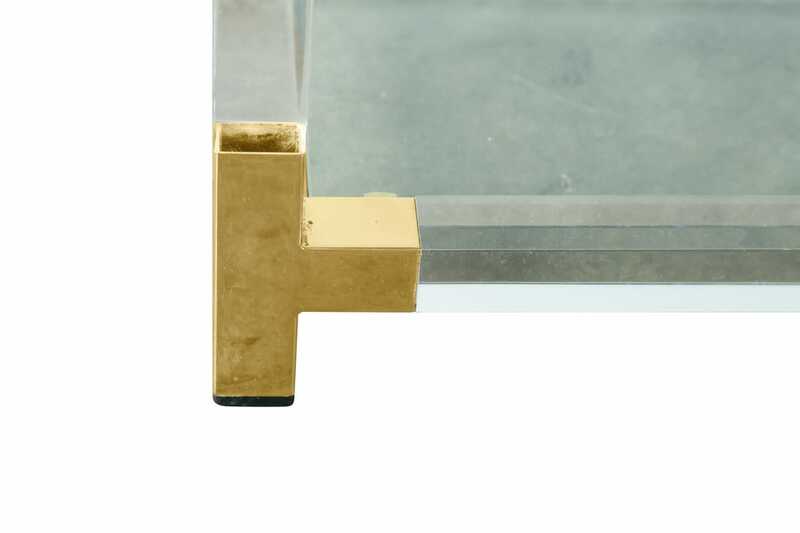 It's a timeless modern design with a very clean and crisp look, transitional yet elegant.